Although the tourist attraction to the Mediterranean coast has turned light pollution into a serious environmental problem, there are still dark places where you can see skies free of light pollution. 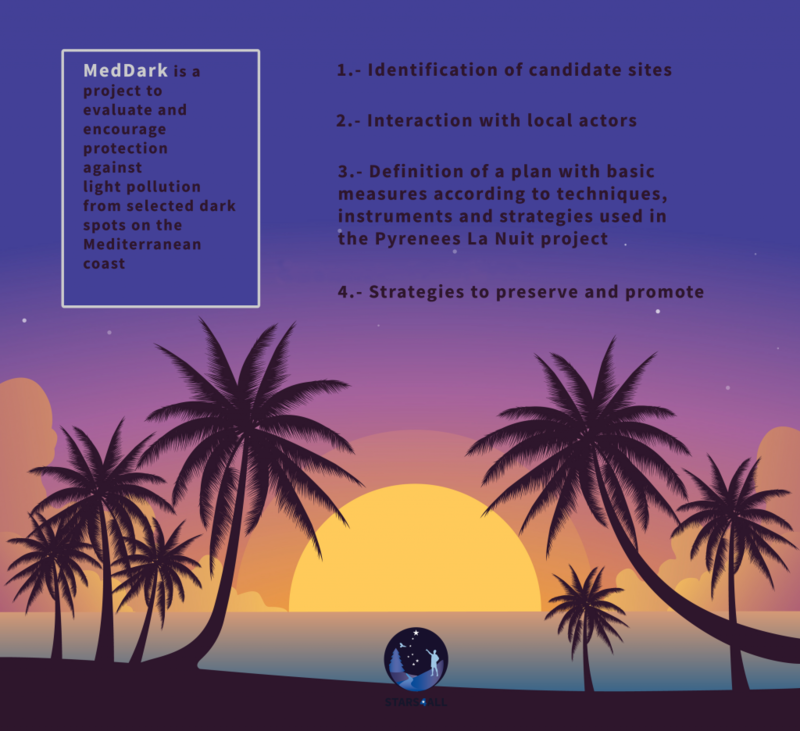 MedDark is part of the existing project of Pyrenees La Nuit (PLN), funded by the POCTEFA cooperation program of the European Union around the Pyrenees mountain range and its surrounding areas. With this new project, coordinated by Dr. Salvador José Ribas Rubio of Parc Astronòmic Montsec, some of these points would be identified, which are usually places without a fixed population and protected due to their biodiversity, and would lead to a full action on research, dissemination and strategies in the natural darkness of that specific area in order to promote the study and protection of these oases of natural sky on coasts generally contaminated with light. The objectives are to identify some of these dark places, interact with local people interested in nocturnal conservation, verify the quality of the sites using standard methods of measuring the night sky and promote possible future strategies for each site.